On a hot summer day in Greece, meals at a Traditional taverna often begin with a shot of Ouzo alongside an array of appetizers or mezedes and end with a “dessert” of freshly cut melon slices. For some Greeks, Ouzo and melon are staples of summer dining which is why I’m surprised I haven’t come across this combination until now. 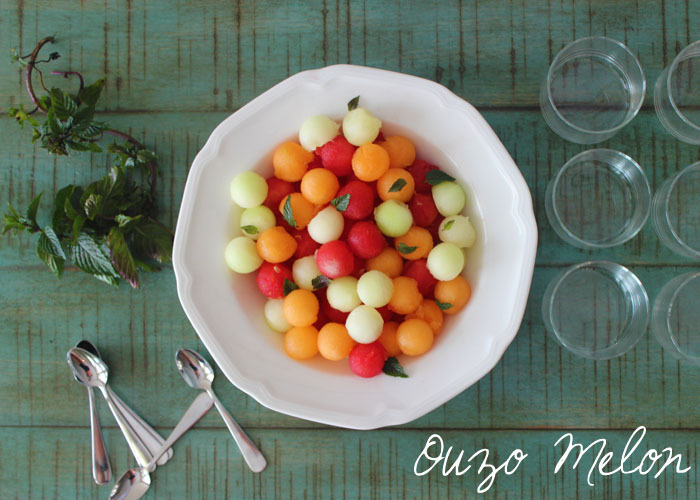 Chilled melon is scooped into balls and drizzled with Ouzo. After allowing the flavors to come together, garnish with fresh mint and enjoy. This is a simple and refreshing way to start or finish any meal this summer. Variation Tip: Not a fan of Ouzo? It’s equally delicious with Mastiha, Tequila or Vodka. Cheers! 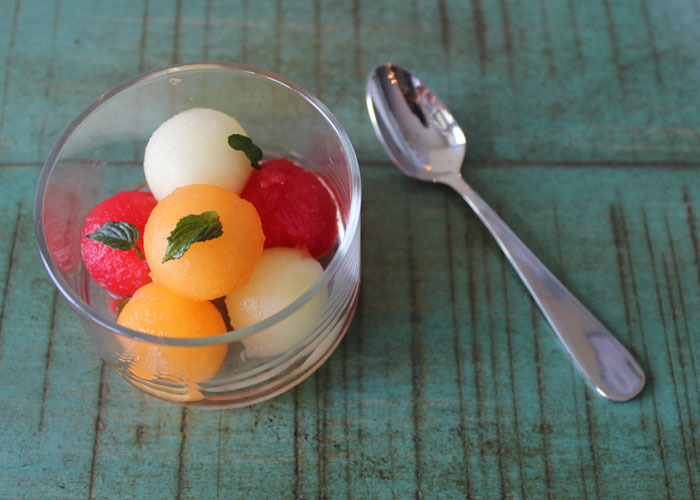 Scoop chilled cantaloupe, honeydew and watermelon into a bowl with a melon baller. Drizzle with Ouzo allowing flavors to meld for 10-15 minutes. Garnish with fresh mint leaves and serve.